Stephanskirchen – The Hamberger company group can look back on a long-standing successful history marked by many noteworthy events. This is demonstrated in no small way by the large cohort of long-standing employees. 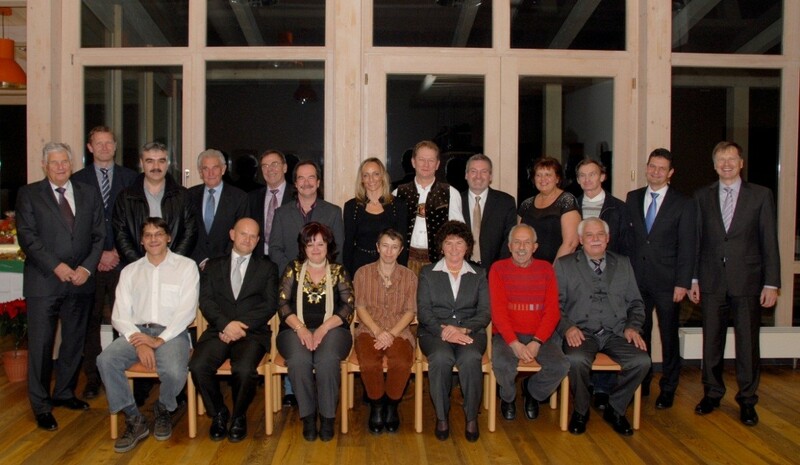 It was in this context that CEO Peter Hamberger also expressed his gratitude this year on behalf of management and in the presence of Stephanskirchen's First Mayor Rainer Auer in the Hamberger Alm am Ziegelberg to 15 anniversary celebrants for their long-standing dedication to the company. With a combined total of 420 years of service, they have lived through and played their part in shaping the many changes that have taken place during this time. We are proud to have such a large number of colleagues who have been with us for such a long time and who have contributed significantly to the success of our global business thanks to their dedication, flexibility and loyalty," stressed Peter Hamberger in his speech. The esteem in which he holds the employees was clearly evident in his very personal address as he looked back on the careers of the twelve colleagues celebrating 25-year anniversaries, Erdal Coskun, Slavco Cvetanovski, Walter Egger, Anica Ferinac, Manuela Hajrizaj, Jürgen Kroiher, Astrid Kroll, Anton Laner, Günther Ruhstorfer, Ingeborg Schinzel, Josef Schmidmaie, as well as Helga Findenig, Klaus Kleemann, Felix Schmid and Samedin Velija who were celebrating 40 years with the company. Honorary certificates as well as bronze and silver medals and certificates from the Chamber of Commerce for Munich and Upper Bavaria (IHK) were presented by Peter Hamberger together with Dr. Peter M. Hamberger and HR Manager Herbert Scharf on behalf of the Bavarian Ministry of State for Labour and Social Affairs to mark the 25 and 40 years of service. The anniversary celebrants also received a loyalty bonus and a gift hamper in recognition and thanks. Stephanskirchen's First Mayor Rainer Auer also paid tribute to the anniversary celebrants and offered his congratulations as he presented them with their gifts. A great evening was had by all with music and stimulating conversation.